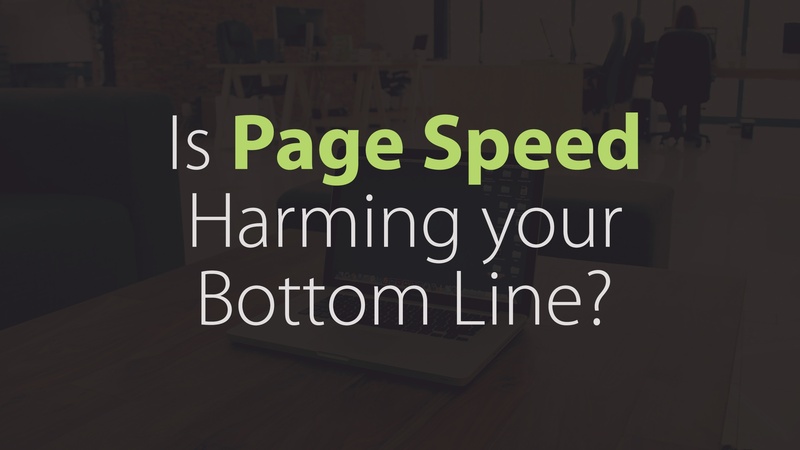 Is Page Speed Harming your Bottom Line? Digital Marketing: Is Page Speed Harming your Bottom Line? Countless factors contribute to making your website effective. After working hard to develop high quality content, the last thing you want is to drive away visitors with poor website speed before they have a chance to hear your message. Your page speed may not seem that important to you – after all, in a world of steadily increasing wired speed and faster mobile networks, does it really make a difference? The short answer - Yes. Research shows that almost one-third of visitors abandon a loading page after 1-5 seconds. It is crucial to reduce the so-called “bounce rate”. This is the percentage of visitors who only see your landing page before immediately clicking away back to Google or another website. It represents hard-earned page views that end in frustration and lost profits. Prospects who were interested enough to seek you out won’t get famous by posting YouTube videos of himself singing copyrighted R&B songs? Yep. ever hear your message. Just one second can reduce your conversion rate by almost 7%. With typical web volumes, this can mean a large decrease in your profits, all because you cut corners with your provider. But reduced revenues aren’t the only price you pay for slow website speed. Slower pages are penalised against faster sites as part of the Google’s PageRank algorithm. So not only are long load times letting prospects slip through your fingers, they also make it harder for your target audience to find you in the first place. So make sure your investments in SEO and marketing aren’t wasted on pages no one sees. A whopping 1 in 6 mobile visitors will abandon a page that takes longer than five seconds to load. And please don’t forget about responsive design. The price of making your website responsive is nothing compared to the price you could pay in lost revenue. More and more people are using their mobile devices to browse the web for the services they require. Website loading times directly affect whether visitors remain on your site and how Google ranks pages. The rate at which people abandon your site after visiting in turn affects your conversion rate and ultimately your profits. Even in this age of increased connection speed, you need to keep your site’s performance firmly under control.